Birdly virtual reality flight simulator. Image courtesy of SOMNIACS. Now at the National Aviary you can experience what it’s like to be fly like a bird with Birdly, a full-body virtual reality flight simulator. The National Aviary announced the opening of Birdly as part of a permanent exhibit. Created by the Swiss startup SOMNIACS, Birdly uses a combination of motion, wind, sound and visuals to fully immerse users in the experience of flying over a virtual New York City. This marks the second time Birdly has landed in North America; the first was at The Tech Museum of Innovation in San Jose. 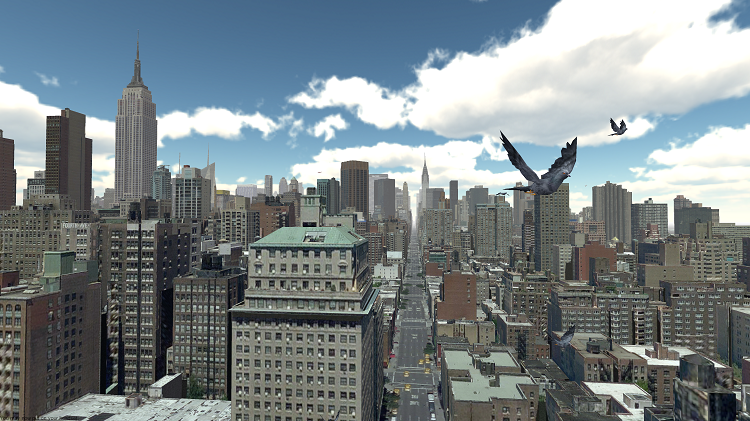 Birdly’s virtual version of New York City. Image courtesy of SOMNIACS. 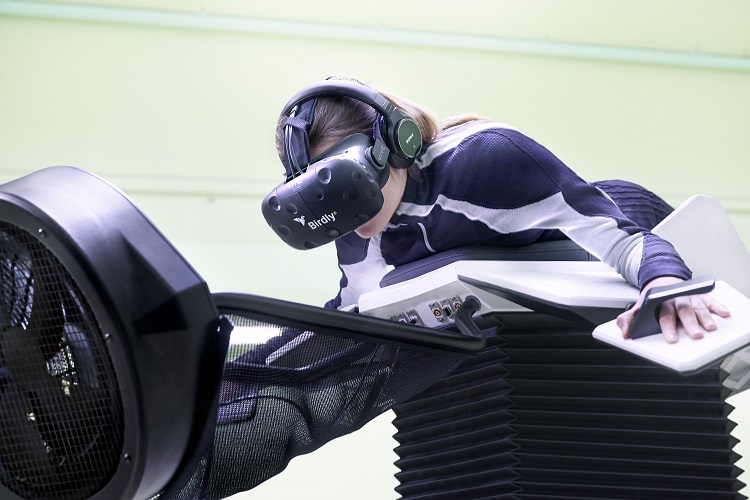 Birdly creates the illusion of flight by outfitting the rider with an HTC Vive VR headset that provides visuals. While lying chest-down on the simulator, the rider flaps a pair of hinged wings that control direction and speed. A fan simulates the feel of wind while a series of motors and actuators tilt and dip in response to the rider’s movement. As the rider soars over treetops and buildings, curious spectators can watch the journey on a large monitor. 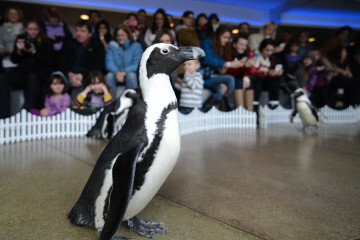 The state-of-the-art simulator comes to National Aviary thanks to a partnership with the Pittsburgh International Airport, which serves as the presenting sponsor. 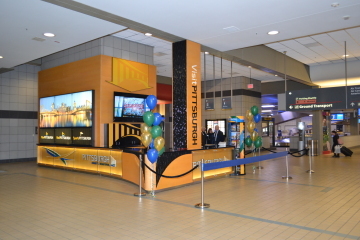 Birdly will also travel to the Pittsburgh International and Allegheny County airports to entertain travelers during the busy summer season and throughout the year. Birdly officially opens at the National Aviary on April 20 and will be offered at various times throughout the day. The cost is $8 per flight. Birdly will also make an appearance at the Pittsburgh International Airport from May 22-25.